Pullover collar ballerina arched 100 % cashmere 2 yarns. Beautiful low neck. 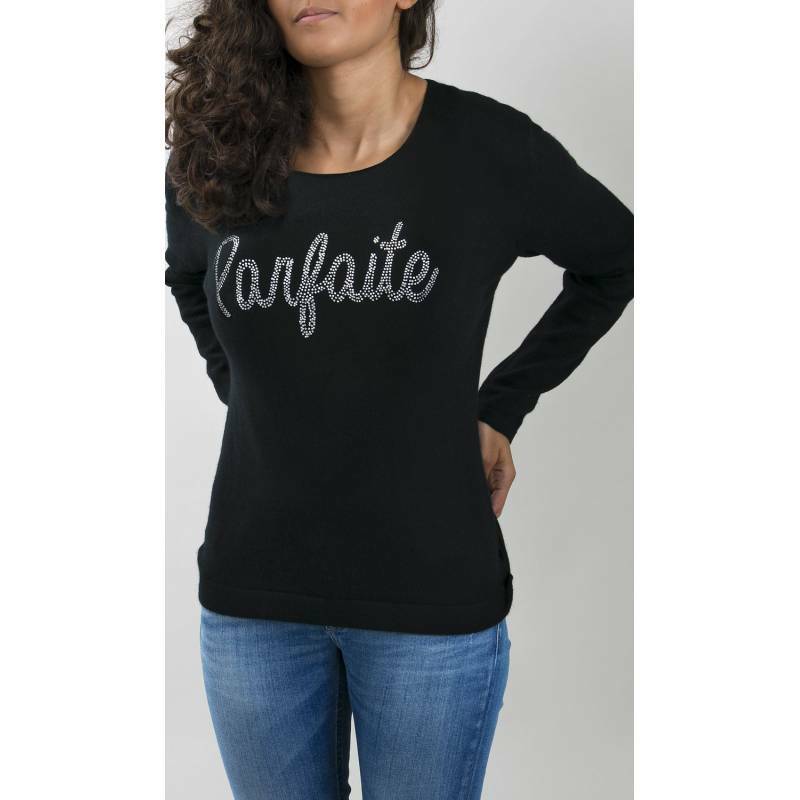 "Parfaite" in strass letters. At the end, of an incomparable sweetness and a warmth with its premium cashmere, this pullover indented round collar becomes allied to all your smart and relaxed dresses.